Here @ GHIFY, receiving customer feedback is one of the best parts of our day! 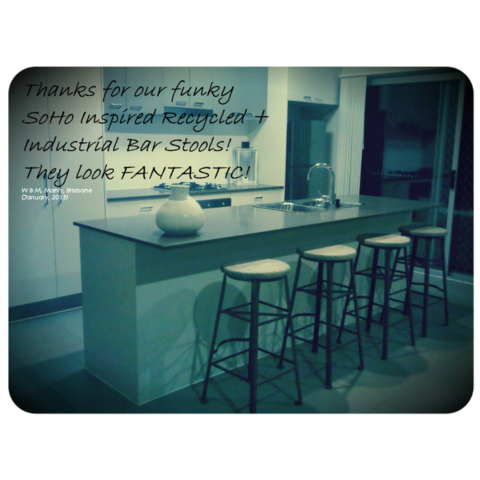 W & M from Manly, Brisbane, Queensland say, “Thanks for our funky SoHo Inspired Recycled + Industrial Bar Stools! They look FANTASTIC! If you’re interested in these Industrial & Recycled Bar Stools, visit http://ghify.com/collections/recycled-industrial and start browsing the extensive range of our Industrial Recycled collection available for dispatch today!